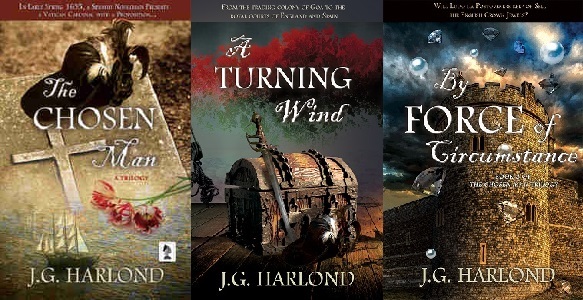 The Chosen Man Trilogy completed! Mission accomplished! The trilogy I promised Penmore Press is now complete. It’s exciting, and I will admit to a considerable sense of satisfaction, but there’s also to a sense of loss: I shall miss my voyages with Ludo. I shall also miss doing the research behind each story; it was both enjoyable and enlightening. Each of the books involved a good deal of background reading and investigation despite being based on topics familiar to me and set in places I know. 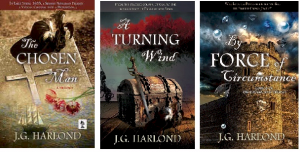 To give you an idea of what I have learned while writing the trilogy here are a few details on how each story began and what I needed to know about before I could actually start. The first Ludo story was inspired by a combination of two events; one very real with devastating financial consequences, the other un-real, other-worldly, when I ‘saw’ people during a visit to Cotehele in Cornwall (while preparing for another book altogether). Cotehele, a National Trust property on the River Tamar, became the fictional house Crimphele, then the story-line fell into place as I watched news coverage of the Lehman Brothers and mortgage scandals in the USA. 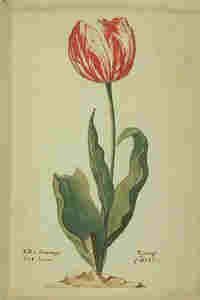 I had lived in the Netherlands, was acquainted with the tulip bubble, and it seemed quite plausible that a character such as Ludo (the infamous ancestor of Leo Kazan in The Empress Emerald) might be employed as an agent provocateur acting for Habsburg Spain and, supposedly, for Rome. After fitting these elements together, I then had to learn some hard facts behind ‘tulip mania’ and some of the vaguer, barely credible history behind Vatican espionage and secret agents. It took a good two years to write The Chosen Man, fortunately reviews show it was all worthwhile. A long, long time ago I had a gap year job in a jewellery and antique shop, it wasn’t what I wanted to do for the rest of my life, but I learnt a lot and it helped greatly while preparing notes for A Turning Wind. 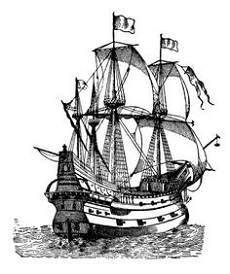 During my research, I came across the writing of the French merchant-explorer Jean-Baptiste Tavernier (1605-1689). In a spell-binding account of how diamonds were mined in the Golconda region of India, Tavernier quotes an account supposedly written by Marco Polo of how diamonds were found and traded in the area centuries before. It was too good not to use so I wove it into the opening scene. 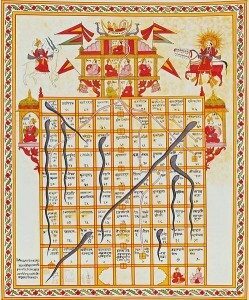 That, and the ancient ethical origins of the game Snakes and Ladders, created the background for Ludo’s second adventure, via documented history on Portugal and the ambitious Duchess of Braganza, and a little known, unrealized treaty between Charles 1st and Felipe IV of Spain. Having spent many years living near El Escorial, the scenes set there with the infamous Conde-Duque de Olivares and Velazquez were easy to write. One of my aims while writing this trilogy was to show how decisions made in high places can have appalling consequences for ordinary members of society. This story in particular shows how one’s personal destiny can be determined by events far beyond one’s control. The over-riding circumstance here is a civil war. What happens to Ludo, Alina and Marcos is determined by a conflict not of their making in a country not their own and their efforts to safeguard their families. Regrettably, it is something many readers can relate to nowadays. What I specifically needed to learn about for this book, though, was what happened to certain gems belonging to the English Crown Jewels. 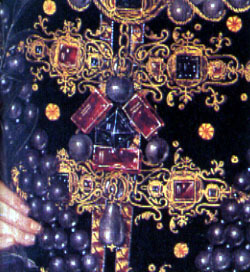 Queen Henrietta Maria’s attempts to sell and pawn exquisite necklaces, hatbands and brooches – royal heirlooms – was well documented at the time, although a few, including the famous spinel clasp named The Three Brethren, did go astray. 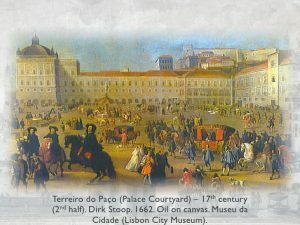 What Ludo does with the gems is largely my invention, but a Portuguese Catholic princess did marry an English monarch so to an extent I was only playing with facts. All I really had to do was say, ‘What if . . .’ and combine it with Ludo’s capacity for mischief. 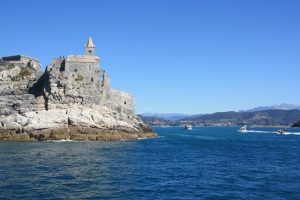 This final story takes Ludo back to Portovenere in Liguria, Italy – a place I have visited many times. The name derives from a temple dedicated to the goddess Venus; and there’s a Doria castle there too. Agustin, the Doria Doge of Genoa of the epoch, had a daughter, she is un-named in the Doria family tree but she may have lived there. Barbary corsairs constantly raided the Ligurian coast – so again, what if . . .? And that brings Ludo’s adventures to an end, although he does have two impish daughters who might well set to sea in a galleon named ‘Tulip’ in the not too distant future. If you would like to know more about some of the history mentioned here you will find it here in my blog. Author J.G. 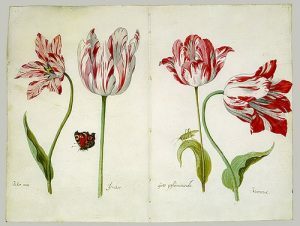 HarlondPosted on 22/03/2019 Categories Background reading & fascinating facts, The Writer's Craft, WritingTags age of sail, Amsterdam, galleons, Goa, Golconda diamonds, historical crime, historical fiction, Holland, House of Stuart, pearls, snakes and ladders, spices, Tavernier, tulip fever, tulipmania, writing fictionLeave a comment on The Chosen Man Trilogy completed!